This modern leather armchair offers style, function and form, with its neat shape, cosy seat and soft real leather upholstery. Whether you style this piece next to your sofa or use it to make use of an unloved corner, the Mona Armchair would be a great addition to any home. The Mona armchair has a neat overlocking stitch that runs around the arms and the inset legs. This creates both a careful and considered detail that ensures quality while also accentuating the contemporary shape of this modern armchair. The seat cushion of the Mona is a medium-soft sit meaning the seat construction allows for recovery, bouncing back when vacated. This helps to keep chair looking neat and uniform for longer. The seat recovery combined with the generous shape, depth and low arms, gives this armchair such an open and inviting feel, perfect for snuggling up with a good book or watching TV. Upholstered in premium real leather, the Mona is tactile, durable and wonderfully comfortable. 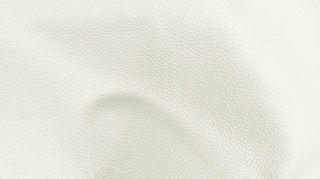 Leather is a naturally hard wearing material, making it perfect for busy family life. We've chosen a neutral colour palette that's both clean and contemporary. The matching leather panel running along the front of the black powder coated feet makes the Mona armchair even easier to coordinate with your existing interior. The Mona is also available in a larger 2 seater and 3 seater sofa if you're looking for more stylish pieces for your living room space.